Écrit le 26 novembre 2018 . Siare Engineering International Group S.R.L., Italy and GE Healthcare, jointly announced a long term agreement under which GE Healthcare, will incorporate Siare ventilators into its existing ventilator product portfolio. 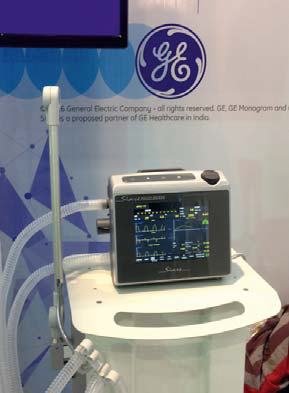 Through this partnership GE Healthcare completes its comprehensive respiratory care solutions by adding range of Siare ventilators to its existing high acuity Intensive care ventilator. Siare is an internationally recognised brand in Critical care and Anaesthesia segment with a footprint in more than 100 countries. Having its headquarters in Bologna-Italy, Siare, with a strong focus in its dynamic research and development, designs, engineers, manufactures high tech Anaesthesia workstations, lung ventilators for Intensive care / Resuscitation, Critical care / Home care, Emergency products. With 44 years of experience in these specific sector, Siare offers complete state of art and advanced solutions to satisfy the most needs of respiratory therapy. This strategic alliance will help Siare to penetrate the large critical care segment all over the world. Siare ventilator product range will help GE Healthcare expanding its presence in performance range, Value and Mid tier range. with them to deliver better care to more people around the world”. Siaretron 4000 – Compressor driven. This is a high performing Intensive care ventilator and will serve Intensive care high acuity and mid end market. Siaretron 4000 – Turbine driven. 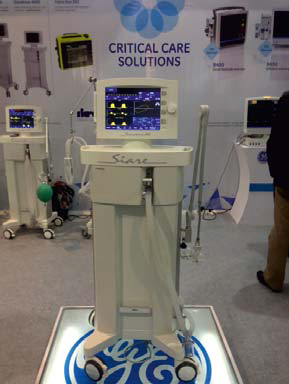 This is a high performing Intensive care ventilator and will serve performance and mid end market. Falco 202 Evo – This is a portable intensive care ventilator and will serve sub acute, emergency, recovery and transport market. GE Healthcare understands Strength of Siare ventilators in terms of wide Patient & Procedure Range, Reliability and Sleek ergonomic design. This strategic alliance also aims at giving better after sales support to customers and thereby reaching highest satisfaction levels.